So says The Guardian in a new feature that has been reverberating around the internet, ruffling feathers and eliciting nods of agreement in equal parts. The word detox, originally used to describe the treatment of those with life-threatening addictions to drugs or alcohol, has been “hijacked”. “The word [has been] hijacked by entrepreneurs, quacks and charlatans to sell a bogus treatment that allegedly detoxifies your body of toxins you’re supposed to have accumulated,” says Edzard Ernst, emeritus professor of complementary medicine at Exeter University. Assuming our bodies are healthy we already have a perfect detoxification system in the form of kidneys, a liver, skin and lungs, he says. Claims therefore of needing to “cleanse” our body of “toxins” through various treatments are bogus, Ernst argues. The debate is, in part, one about semantics. “It’s all about what you define ‘detoxing’ as,” says Dr Kerryn Phelps, an adjunct professor at Sydney University’s faculty of medicine as well as the founder of Sydney Integrative Medicine. “I use it to describe removing as many of the potentially health-affecting chemicals from your body as you can. “There are, Phelps says, a range of chemicals associated with cancers, chronic illnesses and undefined illnesses like Chronic Fatigue Syndrome. She also says that the emerging science of epigenetics is revealing the way certain chemicals can switch our genes on or off. “When people take those unnecessary chemicals out of the body, they tend to feel better, they lose weight and symptoms like headaches and lethargy often disappear,” Phelps says. Kirsten Shanks, nutritionist, naturopath and founder of Orchard St Juices says reducing exposure to such chemicals is the basis for many “detoxes” and helps the body’s own detoxification mechanism. “The Guardian article calls environmental toxins ‘elusive’,” she says. “If only they were. The literature suggests that PCBs, pesticides, Bisphenol-A, dioxins, phthalates and heavy metals are around us in increasing levels and we know that long-term exposure to these chemicals have some very serious health outcomes. As with many industries, however, there are plenty of shonky products and claims within the wellness sphere. In 2009 scientists called out a range of products, including shampoos, supplements and smoothies that claimed to “detoxify”. Not one of the manufacturers could provide evidence for their claims, The Guardian article notes. Naturopath and founder of The Body Harmony Society Cassie Mendoza-Jones is in two minds about this. “One side of me completely agrees in that the idea of detoxing all of your impurities does indeed sell you ‘things’, and it also sells the most precious commodity of all – hope. The hope that you can cleanse your body of that drinking binge or chocolate mud cake by simply drinking a greens powder,” she says. “I don’t think we need to live our lives believing that every wrongdoing can be fixed with a colonic (it can’t) and I do believe the body’s eliminatory organs are working 24 hours a day to cleanse your body of impurities, but with many peoples’ toxic lifestyles, a little natural helping hand can only … well, help. Accredited practising dietitian Jessica Bailes is also ambivalent about the idea of detoxing. “There are two types of detoxes: those that are dangerous, because you’re starving your body of the nutrients it needs. These include the juice detox and the lemon detox. I would definitely steer clear of those,” she says. Kirsten Shanks argues that people enjoy juice fasts because fresh vegetable juices can provide them with a range of nutrients in an easily absorbable form, while they also put a pause to putting crap into their system. It is a chance to reset. 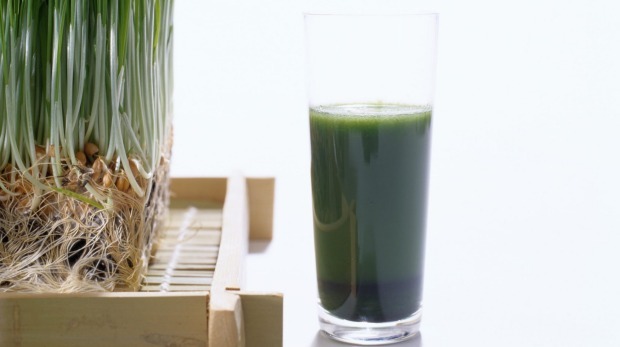 “They also provide a good stepping stone into a more conscious diet in the longer term,” she says of juice “cleanses”. On this point, Bailes agrees. Phelps is also uneasy about “detox” treatments, including colonics and “starving yourself” on juice or herbal cleanses. “These sorts of practices are, to me, not medically sound or in the best practice of wellbeing,” she says. “If you’re young and fit and do a juice fast for a week, you’ll be fine, but if you have diabetes or a range of other health problems, you have to be very careful. For her, it comes back to definitions. “What is the ‘tox’ in ‘detox’,” she asks. She suggests throwing away products that are filled with “unpronounceable chemicals” and replacing them with products that are “better for you and better for the environment”. Avoiding preservatives, fillers and artificial flavours and colours in your food is another place to start.